As for the rest of us, we're pretty boring, life as usual and just keeping up with a one year old! She is by far the most entertaining and I will try and get some photos up soon. In the meantime, how about an outfit?! Truly one of my go-to spring looks! 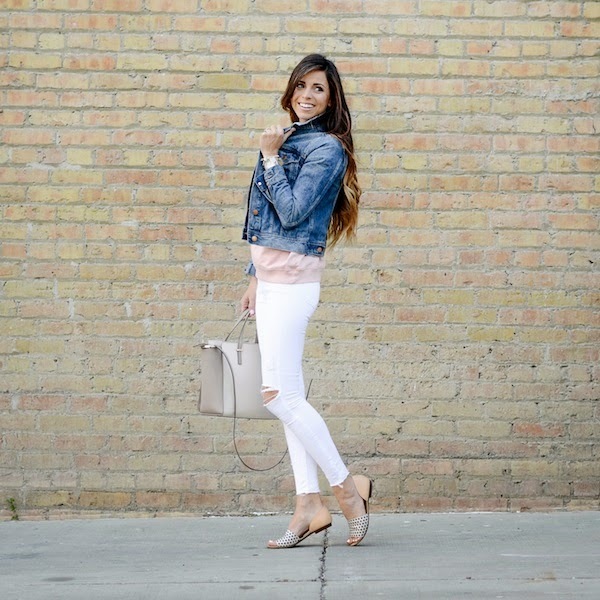 White jeans, comfy tee and a jean jacket. These flats are to. die. for.! and the polkadots are so fun and add a little something to a pretty neutral, simple outfit! I really really love the blush and white combo! 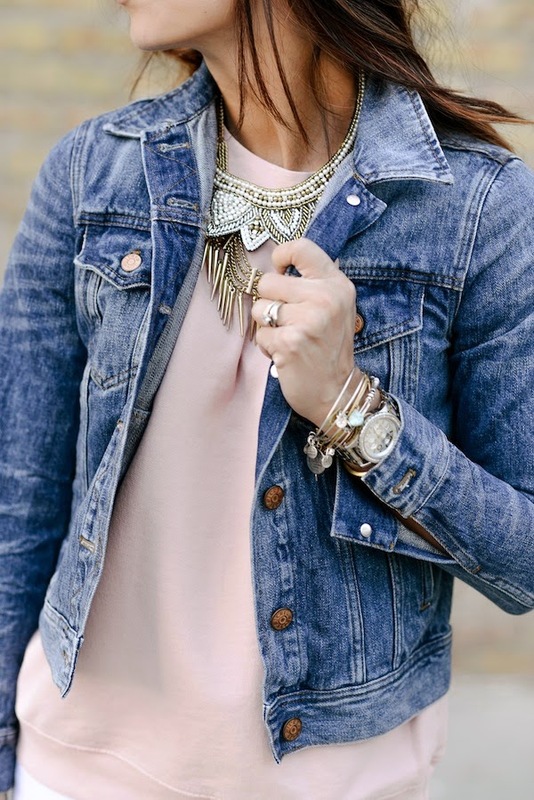 It's so perfect for spring and the denim jacket is the perfect finishing touch. Such an adorable casual look! Love the color of that sweatshirt. Love this look. 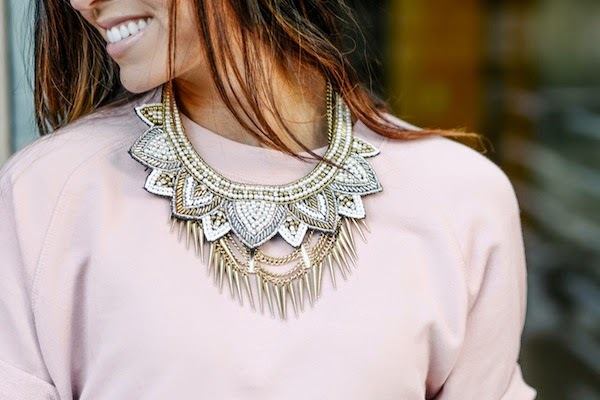 The pink top is so perfect for this spring weather!